Sprinkle with dry parsley and a small amount of Parmesan cheese for taste. Salt and pepper to taste. You now have a wonderful and tasty salad. Enjoy your zucchini salad with a sweet red wine or a glass of cold ice tea. For an after-meal desert enjoy a cup of mild coffee and a rich chocolate cake topped with a small scoop of almond ice cream. 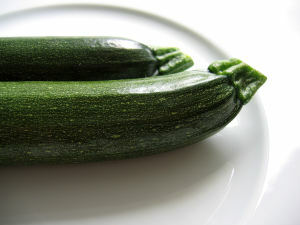 Zucchini is a juicy green vegetable and when eaten raw you will enjoy the health benefits of good skin, a cleaner system and it is a good source of fluid in place of one glass of water.